One of the most common reasons for loss of fuel economy is a dirty fuel system. A clogged and dirty fuel system can also cause other major problems in your vehicle, such as engine malfunction, hard starts, and poor performance. Attending to your vehicle’s fuel system with preventive maintenance can help prevent these failures. 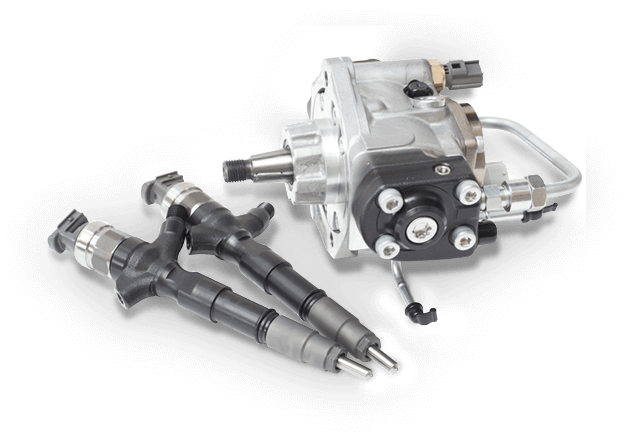 Milex offers a Fuel System Service that can clean and unclog accumulated carbon deposits and other fuel residue from the fuel injection system and other components. This service also includes replacing your fuel filter. A clean filter will improve fuel flow to the fuel pump, helping extend the life of the fuel pump. The Fuel System Service can increase fuel flow, improving airflow and enhancing combustion. With these benefits, your vehicle will be road-ready with better fuel efficiency, reduced emissions, and fewer drivability problems. If your fuel system is in need of some extra attention, look no further than Milex. Our experts are experienced and ready to help. What type of maintenance service does the fuel system need? A Fuel System Service can clean and unclog accumulated carbon deposits, varnish and other fuel residue from the fuel injection system and other components. This service includes replacing your fuel filter. A clean filter will improve fuel flow from the fuel pump helping extend the life of the pump. What are the benefits of a fuel system service?